The thought of going abroad makes my heart leap. They spoke of it then as the dream of a lifetime, and for many, for all the difficulties and setbacks encountered, it was to be one of the best times ever. They were the first wave of talented, aspiring Americans bound for Paris in what, by the 1830s, had become steadily increasing numbers. They were not embarking in any diplomatic or official capacity—not as had, say, Benjamin Franklin or John Adams or Thomas Jefferson, in earlier days. Neither were they in the employ of a manufacturer or mercantile concern. Only one, a young writer, appears to have been in anybody’s pay, and in his case it was a stipend from a New York newspaper. They did not see themselves as refugees or self-imposed exiles from an unacceptable homeland. Nor should they be pictured as traveling for pleasure only, or in expectation of making some sort of social splash abroad. They came from Boston, New York, Philadelphia, Ohio, North Carolina, Louisiana, nearly all of the twenty-four states that then constituted their country. With few exceptions, they were well educated and reasonably well off, or their parents were. Most, though not all, were single men in their twenties, and of a variety of shapes and sizes. Oliver Wendell Holmes, as an example, was a small, gentle, smiling Bostonian who looked even younger than his age, which was twenty-five. His height, as he acknowledged good-naturedly, was five feet three inches “when standing in a pair of substantial boots.” By contrast, his friend Charles Sumner, who was two years younger, stood a gaunt six feet two, and with his sonorous voice and serious brow appeared beyond his twenties. A few, a half dozen or so, were older than the rest by ten years or more, and they included three who had already attained considerable reputation. The works of James Fenimore Cooper, and especially The Last of the Mohicans, had made him the best-known American novelist ever. Samuel F. B. Morse was an accomplished portrait painter. Emma Willard, founder of Emma Willard’s Troy Female Seminary, was the first woman to have taken a public stand for higher education for American women. Importantly also, each of these three had played a prominent part in the triumphant return to the United States of the Marquis de Lafayette in 1824. Cooper had helped organize the stupendous welcome given Lafayette on his arrival in New York. Morse had painted Lafayette’s portrait for the City of New York, and a visit to Emma Willard’s school at Troy had been a high point of Lafayette’s tour of the Hudson Valley. All three openly adored the old hero, and a desire to see him again had figured in each of their decisions to sail for France. Cooper had departed well ahead of the others, in 1826, when he was thirty-seven, and had taken with him his wife and five children ranging in age from two to thirteen, as well as a sixteen-year-old nephew. For a whole family to brave the North Atlantic in that day was highly unusual, and especially with children so young. “My dear mother was rather alarmed at the idea,” the oldest of them, Sue, would remember. According to Cooper, they were bound for Europe in the hope of improving his health—his stomach and spleen had “got entirely out of trim”—but also to benefit the children’s education. As their ship set sail from New York, a man on board a passing vessel, recognizing Cooper, called out, “How long do you mean to be absent?” “Five years,” Cooper answered. “You will never come back,” the man shouted. It was an exchange Cooper was never to forget. Morse, who had suffered the sudden death of his wife, sailed alone late in 1829, at age thirty-eight, leaving his three young children in the care of relatives. Emma Hart Willard, a widow in her late forties, was setting off in spite of the common understanding that the rigors of a voyage at sea were unsuitable for a woman of refinement, unless unavoidable, and certainly not without an appropriate companion. She, however, saw few limitations to what a woman could do and had built her career on the premise. Her doctor had urged the trip in response to a spell of poor health—sea air had long been understood to have great curative effect for almost anything that ailed one—but it would seem she needed little persuading. In addition to establishing and running her school, Mrs. Willard had written textbooks on geography and history. Her History of the United States, or Republic of America had proven sufficiently profitable to make her financially independent. She was a statuesque woman of “classic features”—a Roman nose gave her a particularly strong profile—and in her role as a schoolmistress, she dressed invariably in the finest black silk or satin, her head crowned with a white turban. “She was a splendid looking woman, then in her prime, and fully realized my idea of a queen,” remembered one of her students. “Do your best and your best will be growing better,” Mrs. Willard was fond of telling them. Leaving the school in the care of her sister, she boarded her ship for France accompanied by her twenty-year-old son John, ready to face whatever lay ahead. To see Europe at long last, to expand her knowledge that way, was her “life’s wish,” and she was determined to take in all she possibly could in the time allotted, to benefit not only herself and her students, but the women of her country. He had “tasted the intoxicating pleasure of authorship,” as he would write, but feeling unsuited for a literary life only, he had tried law school for a year, then switched to medicine. It was to complete his medical training that he, with several other young men from Boston, set off for Paris, then widely regarded as the world’s leading center of medicine and medical training. Among the others were James Jackson, Jr., and Jonathan Mason Warren, the sons of Boston’s two most prominent physicians, James Jackson and John Collins Warren, who had founded the Massachusetts General Hospital. For both these young men, going to Paris was as much the heart’s desire of their fathers as it was their own. Charles Sumner had closed the door on a nascent Boston law practice and borrowed $3,000 from friends to pursue his scholarly ambitions on his own abroad. As a boy in school, he had shown little sign of a brilliant career. At Harvard he had been well-liked but far from distinguished as a scholar. Mathematics utterly bewildered him. (Once, when a professor besieged him with questions, Sumner pleaded no knowledge of mathematics. “Mathematics! Mathematics!” the professor exclaimed. “Don’t you know the difference? This is not mathematics. This is physics.”) But Sumner was an ardent reader, and in law school something changed. He became, as said, “an indefatigable and omnivorous student,” his eyes “inflamed by late reading.” And he had not slackened since. From boyhood he had longed to see Europe. He was determined to learn to speak French and to attend as many lectures as possible by the celebrated savants at the College of the Sorbonne. Such ardent love of learning was also accompanied by the possibility of practical advantages. Only a few years earlier, Sumner’s friend Henry Wadsworth Longfellow had returned from a sojourn in Europe with a sufficient proficiency in French, Spanish, Italian, and German to be offered, at age twenty-eight, a professorship of modern languages at Harvard, an opportunity that changed his life. There were as well artists and writers headed for Paris who were no less ambitious to learn, to live and work in the company of others of like mind and aspiration, inspired by great teachers and in a vibrant atmosphere of culture far beyond anything available at home. Even someone as accomplished as Samuel Morse deemed Paris essential. Morse had been painting since his college years at Yale and at the age of twenty-eight was commissioned to do a portrait of President James Monroe. In 1822 he had undertaken on his own to paint the House of Representatives in session, a subject never attempted before. When, in 1825, he was chosen to paint for the City of New York a full-length portrait of Lafayette during the general’s visit, his career reached a new plateau. He had followed Lafayette to Washington, where Lafayette agreed to several sittings. Morse was exultant. But then without warning his world had collapsed. Word came of the death of his wife, Lucretia, three weeks after giving birth to their third child. Shattered, inconsolable, he felt as he never had before that his time was running short and that for the sake of his work he must get to Paris. For a much younger, still struggling, and little known artist like George P. A. Healy of Boston, Paris was even more the promised land. While Morse longed to move beyond portraits, young Healy had his heart set on that alone. He was the oldest of the five children of a Catholic father and a Protestant mother. Because his father, a sea captain, had difficulty making ends meet, he had been his mother’s “right hand man” through boyhood, helping every way he could. At some point, his father’s portrait had been done by no one less than Gilbert Stuart, and his grandmother, his mother’s mother, had painted “quite prettily” in watercolors. But not until he was sixteen had the boy picked up a brush. Once started, he had no wish to stop. Small in stature, “terribly timid,” as he said, and an unusually hard worker for someone his age, he had a way about him that was different from others and appealing, and for someone with no training, his talent was clearly exceptional. When the friendly proprietor of a Boston bookstore agreed to put one of his early efforts in the window—a copy Healy had made of a print of Ecce Homo by the seventeenth-century Italian master Guido Reni—a Catholic priest bought it for $10, a fortune to the boy. At age eighteen, he received his first serious encouragement from an accomplished artist, Thomas Sully, who upon seeing some of his canvases told him he should make painting his profession. “Little Healy,” as he was called, rented a studio and began doing portraits. He would paint anyone willing to sit for him. Mainly he painted his own portrait, again and again. Most important, the beautiful Sally Foster Otis, the wife of Senator Harrison Gray Otis and the acknowledged “queen of Boston society,” agreed to sit for her portrait after Healy, summoning all his courage, climbed the steps to her front door on Beacon Hill and stated his business. “I told her that I was an artist, that my ambition was to paint a beautiful woman and that I begged her to sit for me.” She agreed, and the resulting work led to further opportunities to do others of “the right set” in Boston. One small, especially lovely portrait left little doubt of Healy’s ability and would be long treasured by one of Beacon Hill’s most prominent families and their descendants. It was of young Frances (“Fanny”) Appleton, who lived next door to Mrs. Otis. But he knew how much he had still to learn to reach the level of skill to which he aspired, and made up his mind to go to Paris. As he would explain, “In those far-off days there were no art schools in America, no drawing classes, no collections of fine plaster casts and very few picture exhibitions.” After scraping together money enough to take him to Europe and to help support his mother for a year or two, he proceeded with his plan. I knew no one in France, I was utterly ignorant of the language, I did not know what I should do when once there; but I was not yet one-and-twenty, and I had a great stock of courage, of inexperience—which is sometimes a great help—and a strong desire to be my very best. Among the writers was Nathaniel Parker Willis, like Morse a graduate of Yale, who with his poems and magazine “sketches” had already, at twenty-five, attained a national reputation. It was Willis who was traveling as a correspondent of sorts, having been assigned by the NewYork Mirror to provide a series of “letters” describing his travels abroad. He was a sociable, conspicuously handsome, even beautiful young man with flowing light brown locks, and a bit of a dandy. Wendell Holmes would later describe him as looking like an “anticipation of Oscar Wilde.” Willis was, besides, immensely talented. Except for Cooper and Morse, those embarking for France knew little at all about life outside their own country, or how very different it would prove to be. Hardly any had ever laid eyes on a foreign shore. None of the Bostonians had traveled more than five hundred miles from home. Though Cooper and his family spent a year in advance of their departure learning French, scarcely any of the rest had studied the language, and those who had, like Holmes and Sumner, had never tried actually speaking it. The newspapers they read, in Boston or New York or Philadelphia, carried occasional items on the latest Paris fashions or abbreviated reports on politics or crime in France, along with periodic notices of newly arrived shipments of French wine or wallpaper or fine embroidery or gentlemen’s gloves, but that was about the limit of their cognizance of things French. The Paris they pictured was largely a composite of the standard prints of famous bridges and palaces, and such views as to be found in old books or the penny magazines. Many of them were familiar from childhood with the fables of La Fontaine. Or they had read Voltaire or Racine or Molière in English translations. But that was about the sum of any familiarity they had with French literature. And none, of course, could have known in advance that the 1830s and ’40s in Paris were to mark the beginning of the great era of Victor Hugo, Balzac, George Sand, and Baudelaire, not to say anything of Delacroix in painting or Chopin and Liszt in music. It may be assumed they knew the part played by the French army and navy and French money during the American Revolution. They appreciated Lafayette’s importance and knew that with the deaths of Jefferson and Adams in 1826, he became the last living hero of the struggle for American independence. They knew about Napoleon and the French Revolution of 1789 and the horrors of the Terror. And fresh in mind was the latest violent upheaval, the July Revolution of 1830, the Paris revolt that had lasted just three days and resulted, at a cost of some 3,000 lives, in the new “Citizen King,” Louis-Philippe. Although born of the powerful Orléans family, the new ruler in his youth had supported the Revolution of 1789 and served bravely as an officer in the republican army before fleeing the Terror in 1793. For years he had been unable to return to France. Considered a moderate, Louis-Philippe was now king largely because of the support of the hugely popular Lafayette. When news of the July Revolution reached America, it was cause for celebration. The tricolor was unfurled on the streets of American cities. The “Marseillaise” was sung in theaters. New Yorkers put on a parade two and a half miles long. Louis-Philippe, as Americans knew, had spent three years of his exile from France living in the United States and traveled far and wide over much of the country. Well-mannered, still in his twenties, and with little or no money, he had made a favorable impression everywhere he went. He had worked for a while as a waiter in a Boston oyster house. He had been a guest of George Washington’s at Mount Vernon, and this, and the fact that he now had the approval of Lafayette, contributed greatly to how Americans responded to the new regime in Paris. Again except for Cooper and Morse, few of those bound for Paris in the 1830s had ever been to sea, or even on board a seagoing ship, and the thought, given the realities of sea travel, was daunting, however glorious the prospects before them. The choice was either to sail first to England, then cross the Channel, or sail directly to Le Havre, which was the favored route. Either way meant a sea voyage of 3,000 miles—as far as from New York to the coast of the Pacific—or more, depending on the inevitable vagaries of the winds. And there were no stops in between. Steamboats by this time were becoming a familiar presence on the rivers and coastal waters of America, but not until 1838 did steam-powered ships cross the Atlantic. As it was, by sailing ship, the average time at sea was no better than it had been when Benjamin Franklin set off for France in 1776. One could hope to do it in as little as three weeks, perhaps less under ideal conditions, but a month to six weeks was more likely. Nor were there regular passenger vessels as yet. One booked passage on a packet—a cargo ship that took passengers—and hoped for the best. But even the most expensive accommodations were far from luxurious. That there could be days, even weeks of violent seas with all the attendant pitching of decks, flying chinaware and furniture, seasickness and accidents, went without saying. Cramped quarters, little or no privacy, dismal food, a surplus of unrelieved monotony were all to be expected. Then, too, there was always the very real possibility of going to the bottom. Everyone knew the perils of the sea. In 1822, the packet Albion out of New York, with 28 passengers on board, had been caught in a fearful gale and dashed on the rocks on the coast of Ireland. Of the passengers, several of whom had been bound for Paris, only two were saved. At the time when James Fenimore Cooper and his family sailed, in the spring of 1826, a London packet fittingly named Crisis had been missing nearly three months, and in fact would never be heard from again. All who set sail for France were putting their lives in the hands of others, and to this could be added the prospect of being unimaginably far from friends, family, and home, entirely out of touch with familiar surroundings, virtually everything one knew and loved for months, possibly even years to come. In The Sketch Book, a work familiar to many of the outward-bound venturers, Washington Irving, describing his own first crossing of the Atlantic, made the point that in travel by land there was always a kind of “continuity of scene” that gave one a feeling of being connected still to home. But a wide sea voyage severs us at once. It makes us conscious of being cast loose from the secure anchorage of settled life, and sent adrift upon a doubtful world. It interposes a gulf not merely imaginary, but real, between us and our homes—a gulf subjected to tempest and fear and uncertainty, rendering distance palpable, and return precarious. Sailings were regularly listed in the newspapers, and it was important to choose a good ship. Most were brigs: two-masted square-riggers carrying cargo of various kinds. The most desirable berths, those having the least motion, were near the middle of the ship. Fare to Le Havre was expensive, approximately $140. The last days before departure were filled with arranging the clothes needed for a long absence, selecting a stock of books to fill time at sea, and packing it all in large black trunks. Acquaintances who had made the trip before advised bringing an ample supply of one’s own towels. The mothers and fathers of the voyagers, for whom such partings could be profoundly painful—and who in many cases were paying for it all— had their own advice on spending money wisely and looking after one’s health. With good reason, they worried much about health, and the terrifying threats of smallpox, typhoid, and cholera, not to mention syphilis, in highly populated foreign cities. What wrong turns might befall their beloved offspring untethered in such places? The young men were warned repeatedly of the perils of bad company. They must remember always who they were and return “untainted” by the affectations and immorality of the Old World. But once the voyagers were on board and under way, nearly all experienced a tremendous lift of spirits, even as, for many, the unfamiliar motion of the ship began to take effect. “We have left the wharf, and with a steamer [tug boat] by our side,” Sumner wrote from on board the Albany departing from New York. Nathaniel Willis, departing from Philadelphia, described the grand spectacle of ten or fifteen vessels lying in the roads waiting for the pilot boat. They sailed from several different ports and in different years. When Samuel Morse embarked out of New York in November 1829, it was with what he thought “the fairest wind that ever blew.” Emma Willard sailed in the fall of 1830; James Jackson, Jr., the medical student, in the spring of 1831; Nathaniel Willis that fall; and Wendell Holmes in 1833. George Healy, the aspiring young painter, made his crossing in 1834; John Sanderson, the Philadelphia teacher, in 1835. Charles Sumner set forth on his scholarly quest in 1837. At this juncture, as it happens, a young French aristocrat, Alexis de Tocqueville, decided to brave the Atlantic in the opposite direction, sailing from Le Havre in 1831. He was twenty-five years old, short, and slightly built. Nothing about his appearance suggested any remarkable ability. His intention, he said, was to “inquire into everything” in America, “to see what a great republic is like.” He had never spoken to an American in his life. He had never been to sea. Samuel Morse had comparatively little comment about his crossing, beyond that it took twenty-six days, including five days and nights of gale winds, during which the motion of the ship was such that no one slept. Nathaniel Willis, who sailed on the nearly new brig Pacific, commanded by a French captain, enjoyed days of fair winds and smooth seas, but only after what to him was an exceedingly rough week when the one thing he had to smile about was the achievement of dinner. “In rough weather, it is as much as one person can do to keep his place at the table at all; and to guard the dishes, bottles and castors from a general slide in the direction of the lurch, requires a sleight and coolness reserved only for a sailor,” Willis wrote, in a picturesque account that was to delight readers of the NewYork Mirror. “Prenez garde!” shouts the captain as the sea strikes, and in the twinkling of an eye everything is seized and held up to wait for the lurch, in attitudes that would puzzle the pencil of [Samuel] Johnson to exaggerate. With his plate of soup in one hand, and the larboard end of the tureen in the other, the claret bottle between his teeth, and the crook of his elbow caught around the mounting corner of the table, the captain maintains his seat upon the transom, and with a look of most grave concern, keeps a wary eye on the shifting level of his vermicelli. The old weather-beaten mate, with the alacrity of a juggler, makes a long leg back to the cabin of panels at the same moment, and with his breast against the table, takes his own plate and the castors, and one or two of the smaller dishes under his charge; and the steward, if he can keep his legs, looks out for the vegetables, or if he fails, makes as wide a lap as possible to intercept the violent articles in their descent. Willis was the sole passenger on board his ship, in contrast to Wendell Holmes, who crossed on the packet Philadelphia, out of New York, with thirty other passengers in cabin class and fifteen in steerage. The Philadelphia was considered top-of-the-line. (“The accommodations for passengers are very elegant and extensive,” it was advertised. Beds, bedding, wine, and “stores of the best quality” were always provided.) The cabin passengers were mostly from Boston. Several were friends of Holmes’s, including a convivial fellow Harvard graduate, Thomas Gold Appleton, one of the Beacon Hill Appletons (and brother of Fanny), who was trying to make up his mind whether to become an artist or a writer, and having a thoroughly fine time in the meanwhile. I felt nothing of that do-little drowsy ennui that I had expected. I varied my amusements, and found them all delightful. I talked sentiment with Dr. Holmes; then flirted in bad French with Victorine [a maid accompanying one of the women passengers]; soon joined with Mr. Curtis and our two doctors in a cannonade of puns. Only when, at dinner the following night, the captain mentioned the possibility of “vast islands of ice” did the mood change. “This all frightened us pretty considerably,” Appleton wrote, “and I could not get to sleep for hearing, in fancy, the crushing of our ship on an iceberg. …” When, by morning, the danger had passed, life on board resumed its pleasant pattern. So sweet and benign a crossing was the exception. For nearly all the rest of the voyagers came days of howling winds and monstrous seas when death seemed imminent. For Emma Willard, who sailed from New York on the Charlemagne, it was “a rough crossing” indeed. She had come aboard with her health much on her mind. What exactly her troubles were she never explained. There was repeated talk of weather. “Some of the older passengers play a covert game to frighten those who are fresh and timid,” she wrote. She paid them no mind. Then heavy weather struck. Worse than the raging winds of day were the seas after the winds abated. “Then the waters rise up in unequal masses, sometimes lifting the vessel as if to the heavens, and again plunging her as if to the depths below; and sometimes they come foaming and dashing and breaking over the ship, striking the deck with a startling force.” Most terrifying was a night of mountainous seas breaking over the ship. Thus with the raging element above, beneath, and around us; with nothing to divide us from it, but a bark whose masts were shaking, whose timbers were creaking and cracking, as they were about to divide; the feeling of the moment was, a ship was a vain thing for safety; that help was in God alone. Thoughts of ocean caverns—of what would be the consequence of one’s death, naturally rise in the mind at such a time. To Mrs. Willard’s amazement, she was never seasick. Rather, the violence of the weather, “the rocking and rolling and tossing,” the holding on for dear life to “some fixed object … to keep from being shot across the cabin, and grasping the side of my berth at night for fear of being rolled over the side,” seemed to benefit her health. All the same, she seriously contemplated whether, if she survived the voyage, it might be the better part of wisdom to remain in France. So wretchedly sick was Charles Sumner during his first days out he could not bear even the thought of food, let alone drag himself to the dining table. “Literally ‘cabined, cuffed and confined’ in my berth, I ate nothing, did nothing. …” Until the fourth day, he was too weak even to hold a book. (To be unable to read was for Sumner the ultimate measure of wretchedness.) Then, astonishingly, his appetite returned “like a Bay of Fundy tide,” and he was both back at the table and back to his books. On Christmas Day in the English Channel, the long voyage nearly over, Sumner expressed in the privacy of his journal what so many felt. In going abroad at my present age, and situated as I am, I feel that I take a bold, almost rash step. … But I go for purposes of education, and to gratify longings that prey upon my mind and time. … The temptations of Europe I have been warned against … I can only pray that I may be able to pass through them in safety. … May I return with an undiminished love for my friends and country, with a heart and mind untainted by the immoralities of the Old World, manners untouched by its affectations, and a willingness to resume my labors with an unabated determination to devote myself faithfully to the duties of an American! They would stand by the hour on deck, watching the emerging shapes and details on land growing slowly, steadily larger and more distinct. At home it was known as the Old World. To them it was all new. Whether they arrived at Le Havre, the great port of Paris at the mouth of the Seine, or crossed from England to land at Calais or Boulogne-sur-Mer, the first hours ashore were such a mélange of feelings of relief and exhilaration, and inevitably, such confusion coping with so much that was new and unfamiliar, as to leave most of them extremely unsettled. No sooner were they ashore than their American passports were taken by French authorities to be sent on to Paris. Their passports, they were told, would be returned to them in Paris in exchange for a ticket that they had to ask for at a nearby police office. In the meantime, swarms of pushing, shouting, unintelligible porters, coachmen, and draymen vied for attention, while trunks and bags were carried off to the Custom House to be gone through. All personal effects, except clothing, were subject to duties and delays. Any sealed letters in their possession were subject to fine. They themselves could be subjected to examination, if thought suspicious-looking. Many had difficulty acquiescing to the “impertinence” of authorities searching their bags or, worse, having their own person inspected. Desperate to shut off his porter’s “cataract of French postulation,” Nathaniel Willis, like others, wound up paying the man three times what he should have. Even without the “impertinences,” the whole requirement of passports—the cost, the “vexatious ceremony” of it all—was repugnant to the Americans. In conversation with an English-speaking Frenchman, John Sanderson mentioned that no one carried a passport in America, not even foreign visitors. The man wondered how there could be any personal security that way. To Sanderson this seemed only to illustrate that when one was used to seeing things done in a certain way, one found it hard to conceive the possibility of their being done any other way. Most of the travelers preferred to wait a day or more at Le Havre, to rest and look about before pushing on. Though nothing was like what they were accustomed to, what struck them most was how exceedingly old everything appeared. It was a look many did not like. Not at first. Charles Sumner was one of the exceptions. With his love of history, he responded immediately and enthusiastically to the sense of a long past all about him. “Everything was old. … Every building I passed seemed to have its history.” He saw only one street with a sidewalk. Most streets were slick with mud and uncomfortable to the feet. Men and women clattered by in wooden shoes, no different from what their grandparents had worn. It was of no matter, he thought. Here whatever was long established was best, while at home nothing was “beyond the reach of change and experiment.” At home there was “none of the prestige of age” about anything. From Le Havre to Paris was a southeast journey of 110 miles, traveled by diligence, an immense cumbersome-looking vehicle—the equivalent of two and a half stagecoaches in one—which, as said, sacrificed beauty for convenience. It had room for fifteen passengers in three “apart-ments”—three in the front in the coupe, six in the intérieur, and six more in the rotonde in the rear. Each of these sections was separate from the others, thereby dividing the rich, the middling, and the poor. “If you feel very aristocratic,” wrote John Sanderson, “you take the whole coupe to yourself, or yourself and lady, and you can be as private as you please.” There were places as well for three more passengers “aloft,” on top, where the baggage was piled and where the driver, the conducteur, maintained absolute command. The huge lumbering affair, capable of carrying three tons of passengers and baggage, was pulled by five horses, three abreast in front, two abreast just behind them. On one of the pair a mounted postillon in high black boots cracked the whip. Top speed under way was seven miles an hour, which meant the trip to Paris, with stops en route, took about twenty-four hours. Once under way, before dawn, the Americans found the roads unexpectedly good—wide, smooth, hard, free from stones—and their swaying conveyance surprisingly comfortable. With the onset of first light, most of them thoroughly enjoyed the passing scenery, as they rolled through level farm country along the valley of the Seine, the river in view much of the way, broad and winding—ever winding—and dotted with islands. Just to be heading away from the sea, to be immersed in a beautiful landscape again, to hear the sound of crows, was such a welcome change, and all to be seen so very appealing, a land of peace and plenty, every field perfectly cultivated, hillsides bordering the river highlighted by white limestone cliffs, every village and distant château so indisputably ancient and picturesque. I looked at the constantly occurring ruins of the old priories, and the magnificent and still used churches [wrote Nathaniel Willis], and my blood tingled in my veins, as I saw in the stepping stones at their doors, cavities that the sandals of monks, and the iron-shod feet of knights in armor a thousand years ago, had trodden and helped to wear and the stone cross over the threshold that hundreds of generations had gazed upon and passed under. Most memorable on the overland trip was a stop at Rouen, halfway to Paris, to see the great cathedral at the center of the town. The Americans had never beheld anything remotely comparable. It was their first encounter with a Gothic masterpiece, indeed with one of the glories of France, a structure built of limestone and far more monumental, not to say centuries older, than any they had ever seen. The largest building in the United States at the time was the Capitol in Washington. Even the most venerable houses and churches at home, north or south, dated back only to the mid seventeenth century. So historic a landmark as Philadelphia’s Independence Hall was not yet a hundred years old. An iron spire added to the cathedral at Rouen in 1822 reached upward 440 feet, fully 300 feet higher than the Capitol in Washington, and the cathedral had its origins in the early thirteenth century—or more than two hundred years before Columbus set sail for America—and work on it had continued for three centuries. The decorative carvings and innumerable statues framing the outside of the main doorways were, in themselves, an unprecedented experience. In all America at the time there were no stone sculptures adorning the exteriors of buildings old or new. Then within, the long nave soared more than 90 feet above the stone floor. It was a first encounter with a great Catholic shrine, with its immense scale and elaborate evocations of sainthood and ancient sanctions, and for the Americans, virtually all of whom were Protestants, it was a surprisingly emotional experience. Filling pages of her journal, Emma Willard would struggle to find words equal to the “inexpressible magic,” the “sublimity” she felt. I had heard of fifty or a hundred years being spent in the erection of a building, and I had often wondered how it could be; but when I saw even the outside of this majestic and venerable temple, the doubt ceased. It was all of curious and elegantly carved stonework, now of a dark grey, like some ancient gravestone that you may see in our oldest graveyards. Thousands of saints and angels there stood in silence, with voiceless harps; or spread forever their moveless wings—half issuing in bold relief from mimic clouds of stone. But when I entered the interior, and saw by the yet dim and shadowy light, the long, long, aisles—the high raised vaults—the immense pillars which supported them … my mind was smitten with a feeling of sublimity almost too intense for mortality. I stood and gazed, and as the light increased, and my observation became more minute, a new creation seemed rising to my view—of saints and martyrs mimicked by the painter or sculptor—often clad in the solemn stole of the monk or nun, and sometimes in the habiliments of the grave. The infant Savior with his virgin mother—the crucified Redeemer—adoring angels, and martyred saints were all around—and unearthly lights gleaming from the many rainbow-colored windows, and brightening as the day advanced, gave a solemn inexpressible magic to the scene. Charles Sumner could hardly contain his rapture. Never had a work of architecture had such powerful effect on him. The cathedral was “the great lion of the north of France … transcending all that my imagination had pictured.” He had already read much of its history. Here, he knew, lay the remains of Rollon, the first Duke of Normandy, the bones of his son, William Longsword, of Henry II, the father of Cœur de Lion, even the heart of Lionheart himself. How often he had wondered whether such men in history had, in truth, ever lived and did what was said they had. Such fancy was now exploded. In an account of his own first stop at Rouen and the effect of the cathedral on him and the other Americans traveling with him, James Fenimore Cooper said the common feeling among them was that it had been worth crossing the Atlantic if only to see this. With eighty miles still to go, most travelers chose to stop over at Rouen. Others, like Nathaniel Willis, eager to be in Paris, climbed aboard a night diligence and headed on. Great as their journey had been by sea, a greater journey had begun, as they already sensed, and from it they were to learn more, and bring back more, of infinite value to themselves and to their country than they yet knew. Title page of Galignani’s New Paris Guide, indispensable companion for newly arrived Americans. View of the Flower Market by Giuseppe Canella, with the Pont Neuf in the background. The rue de Rivoli, with the Louvre on the left. A typical high-fashion French couple of the 1830s. The Marquis de Lafayette by Samuel F. B. Morse, painted for the City of New York at the time of Lafayette’s triumphal return to America in 1825–26. Samuel F. B. Morse, a self-portrait painted at age twenty-seven. James Fenimore Cooper by John Wesley Jarvis, painted when Cooper was thirty-three. Morse’s Gallery of the Louvre, with Morse and student in the foreground, unidentified student to the right, Cooper with his wife and daughter in the left hand corner, Morse’s friend Richard Habersham painting at far left, and (it is believed) sculptor Horatio Greenough in the open doorway to the Grand Gallery. George P. A. Healy, self-portrait painted at age thirty-nine. Like nearly all American art students, Healy spent long hours at the Louvre making copies of works by the masters. Schoolmistress Emma Willard, champion of higher education for American women, was delighted by the number of women at work on copies at the Louvre. Four O’Clock: Closing Time at the Louvre by François-Auguste Biard. Americans were astonished by the spectacle of so many people of every kind taking an interest in art. Art-Students and Copyists in the Louvre Gallery, wood engraving by Winslow Homer. Student ticket to the hospital. The Amphithéâtre d’Anatomie (the dissecting room) on the rue d’Orléans. The main entrance to the Hôtel Dieu, the oldest and largest hospital in Paris. The church of the Sorbonne, the oldest part of the university. Charles Sumner by Eastman Johnson. Thomas Gold Appleton by Robert Scott Lauder. It was Appleton who said, “Good Americans when they die go to Paris,” the line made famous when quoted by his friend Oliver Wendell Holmes. Of all the Americans who came to Paris in his time, few so enjoyed the city as did Appleton — or returned so often. The luxurious garden and arcades of the Palais Royal. Oliver Wendell Holmes liked to say that the Palais Royal was to Paris what Paris was to Europe. The Trois Frères Provençaux, one of the several elegant restaurants at the Palais Royal and a great favorite of the Americans. Marie Taglioni, considered the greatest dancer in the world and the sensation of Paris. “Have you seen Taglioni?” was often the first question a foreign visitor was asked. This reading group guide for The Greater Journey includes an introduction, discussion questions, and ideas for enhancing your book club. The suggested questions are intended to help your reading group find new and interesting angles and topics for your discussion. We hope that these ideas will enrich your conversation and increase your enjoyment of the book. “Not all pioneers went west,” writes David McCullough in the beginning pages of The Greater Journey. From the 1820s to 1900, generations of Americans made the pioneering journey across the Atlantic on a mission of learning and accomplishment in the intellectual, scientific, and artistic capital of the western world: Paris. 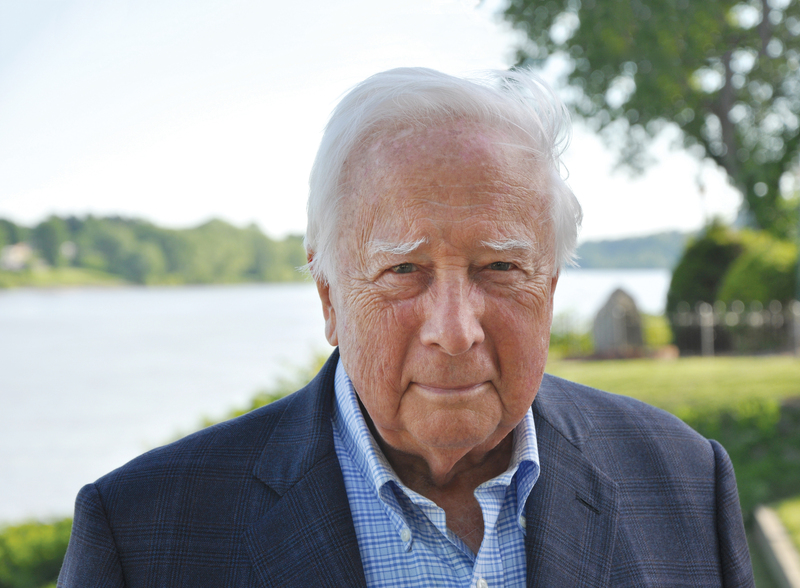 David McCullough tells the story of the generations of Americans whose struggles and discoveries in the City of Light set them on the path to high achievement. James Fenimore Cooper, author of the beloved Deerslayer novels, formed an important lifelong friendship in the halls of the Louvre with Samuel F. B. Morse, the renowned painter and inventor of the telegraph. Charles Sumner, the leading abolitionist U.S. senator, first examined his views on race when he studied at Paris’s diverse Sorbonne. Elihu Washburne, the U.S. Minister to France, performed heroically during the Siege of Paris and the horrors of the Commune, serving Americans and other foreign nationals as the official representative of his country. Augustus Saint-Gaudens arrived in Paris as an impoverished young engraver and despite personal and professional hardship became the most celebrated American sculptor of the time. Mary Cassatt, determined to excel as a painter, recognized the genius of the Impressionists and became the lone American among them. And John Singer Sargent, worked unceasingly to perfect his exceptional talent and won international renown while still in his twenties. What were some of the challenges travelers faced on the journey from America to Paris? “Great as their journey had been by sea, a greater journey had begun, as they already sensed, and from it they were to learn more, and bring back more, of infinite value to themselves and their country than they yet knew.” What is the “greater journey” that these Americans began after their voyage across the ocean? 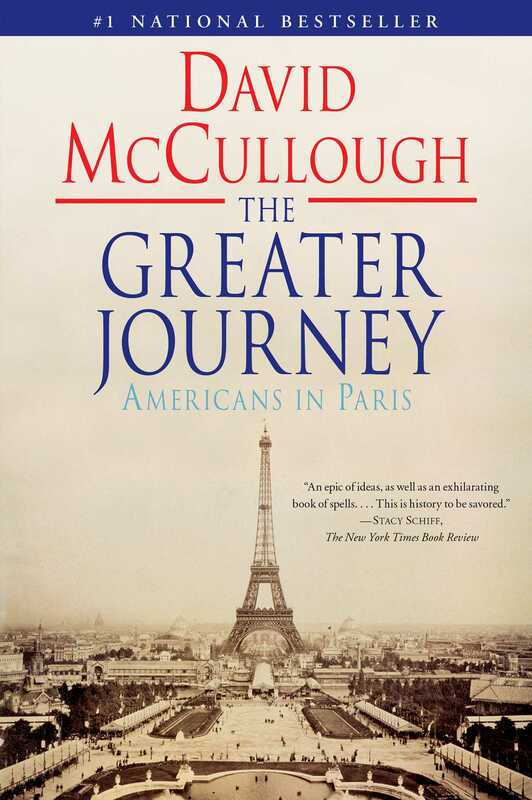 Why do you think McCullough chose the title The Greater Journey for this book? Describing Augustus Saint-Gaudens, McCullough writes, “he had something he was determined to accomplish, and thus became accomplished himself.” What were some of the reasons that Americans made the trip to Paris? What did they need to accomplish in Paris, and how did they become accomplished there? Describe the role of women within the community of Americans in Paris. What unique problems did women face in the city during the 19th century? How did female students, artists, and wives write about their experiences in Paris, as compared to their male counterparts? Describe the friendship between James Fenimore Cooper and Samuel F. B. Morse. What seems to have drawn these men of different backgrounds and professions to each other? What kind of support did Cooper offer Morse during the creation of Gallery of the Louvre, and how did Morse include the Cooper family within the painting? The painter George Healy sailed to Paris in the 1830s, and according to his granddaughter, “His love of France and the French never changed him from an out-and-out American.” Which of the other travelers within The Greater Journey would you also describe as out-and-out Americans? How did they express their patriotism while they lived overseas? Consider the significance of letters and journals within the book. What kind of information does McCullough draw from historical letters and diaries? How would you compare the importance of letters and journals in the 19th century to the present day? How have issues of privacy, diplomacy, and record-keeping changed? In The Greater Journey, we see France in political turmoil—Restoration, Franco-Prussian War, and Commune-led Paris—through the eyes of the young sculptor Augustus Saint-Gaudens, medical student Mary Putnam, and the diplomat Elihu Washburne. What perspective on politics and violence does each of them offer? How do their motivations and opinions on war and revolution differ? Oliver Wendell Holmes called medicine “the noblest of arts.” How is medical study portrayed in The Greater Journey? What advances in the profession does the book chronicle? What are some major differences between medical practice in 19th-century Paris and medicine as we know it today? Compare the two painters who dominate the final chapters of The Greater Journey: Mary Cassatt and John Singer Sargent. How were their lives and work similar, and how were they different? How would you classify The Greater Journey—is it the history of a community, the history of a place, or both? What is McCullough’s particular style of narrating history? Which of McCullough’s “narrators”—the men and women who witnessed the history of Paris—provides the clearest view of his or her environment? If you could tour Paris with any of the historical figures in The Greater Journey, who would it be? Would you want to explore the Louvre with Samuel Morse, discuss politics with Elihu Washburne, attend a concert with Louis Moreau Gottschalk, witness surgery with Elizabeth Blackwell, or appraise canvases with John Singer Sargent? Explain your answer. Get inspired by the descriptive letters that Americans in Paris wrote to their families and friends back home. Exchange letters with another member of your book club. Share observations about your daily life—from your routine to your reaction to the headlines of the day. Send these letters through the mail, and don’t forget to save them as little pieces of history! Have a day of art appreciation with your book club. Visit your local museum, or meet at a public monument or statue. Samuel F. B. Morse co-invented Morse code for his innovative telegraph system. Try this translating tool to hear what your name sounds like in Morse code: http://morsecode.scphillips.com/translator.html. Set the mood for your book club meeting by playing compositions by Louis Moreau Gottschalk, an American piano prodigy who launched his career in Paris. Download his music or purchase an album.